A long standing belief about early medieval justice was that many offenders would be executed for serious crimes, or face punishments such as amputations for lesser offences. However, an examination of archaeological data suggests that these kinds of punishments were rare in Anglo-Saxon England. In her article ‘Osteological Evidence of Corporal and Capital Punishment in Later Anglo-Saxon England’, Jo Buckberry of the University of Bradford examines the archaeological evidence from burials to see how this correlates with the punishments described in written sources from this period. She notes that special execution cemeteries began to be used in the seventh century, and continued as late as the twelfth century. They were created because of the Christian belief that those who were unbaptized, had committed suicide or were criminals, should not be buried with the rest of the community. Instead, separate cemeteries would be established on the edges of a medieval community, where people would be haphazardly thrown into makeshift and shallow graves. 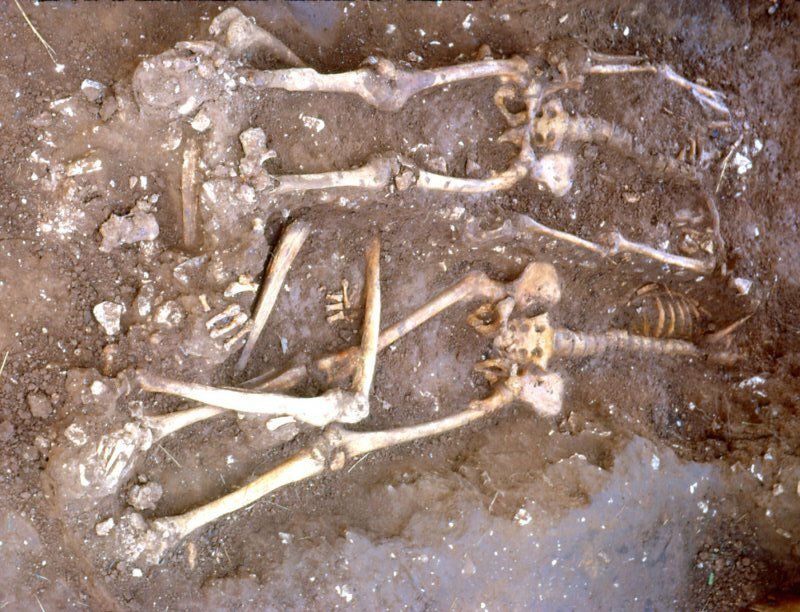 Researchers have already identified 813 individuals who were buried in Anglo-Saxon execution cemeteries, with a ratio between men and women of about five to one. Buckberry explains that while some types of executions, such as decapitation or being burned to death, were fairly easy to detect in an osteological analysis, others such as strangulation or being stoned to death were more difficult to spot. It is quite likely that the corporal and capital punishments in Anglo-Saxon law codes constitute a deterrent rather than a reality. Most individuals were fined for their crimes, whereas more severe punishments appear to have been meted out infrequently. Thus it could be argued that Anglo-Saxon law codes were effective in preventing the most serious crimes from being committed on a regular basis. The article ‘Osteological Evidence of Corporal and Capital Punishment in Later Anglo-Saxon England’ is published in Capital and Corporal Punishment in Anglo-Saxon England, which has recently been published by Boydell and Brewer. Edited by Jay Paul Gates and Nicole Marafioti, this is a collection of ten essays that look at how lawbreakers were punished. These include Daniel Thomas’ paper ‘Incarceration as Judicial Punishment in Angl0-Saxon England’ and ‘Genital Mutilation in Medieval Germanic Law’ by Lisi Oliver.